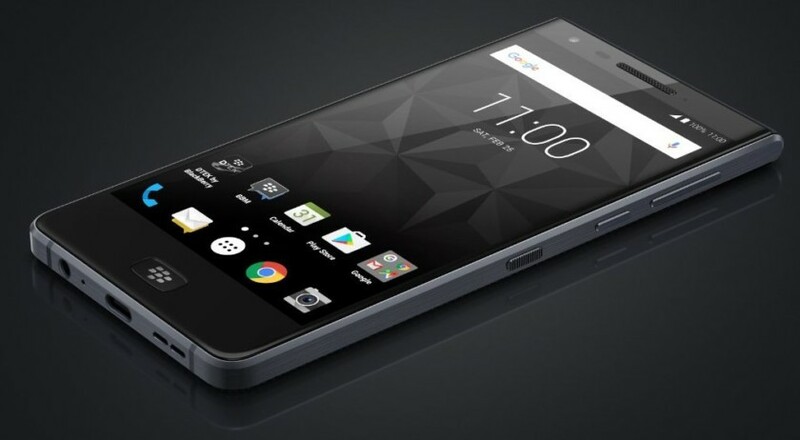 TCL unveiled its latest smartphone, the BlackBerry Motion, earlier this month. This is TCL’s first dust and water resistant BlackBerry phone — it arrives with an IP67 rating — and, unlike more traditional BlackBerry handsets, it arrives without a physical keyboard. The Motion is also seeing a limited rollout and won’t be sold in as many markets as the likes of the BlackBerry KeyONE (it hasn’t yet been announced for the US). However, a press release issued by TCL yesterday (via Android Central) has revealed that it will be heading to Canada in just nine days time. TCL says that the new handset is coming to Koodo, Bell, TELUS, and SaskTel, starting at $599 CAD (~$465 USD) outright or $99 on a two-year contract; check out the current list of plans from TCL below. This means that the Motion undercuts the current KeyONE price by 100 bucks or so, and even provides the better specs. It’s essentially the same as the KeyONE except it comes with a larger display at 5.5 inches compared to 4.5 inches, bigger battery (4,000 mAh vs 3,505 mAh), an extra gigabyte of RAM (4 GB vs 3 GB on the base KeyONE model) and water-resistance. It’s even said to have a stronger, nano-diamond display protection. It lacks the KeyOne’s QWERTY keyboard, dual-sim tray and possibly FM radio — I’m not sure if TCL has confirmed the radio in the Motion, yet — but many people prefer touchscreen phones anyway. All told, it looks like it could be a smart product release from TCL, it’s just a shame it might not reach many markets. Take a look at the rest of the BlackBerry Motion’s specs and features at the link.